South African universities have revised their earlier position to make provision for walk-in and late applications for prospective students. However, this doesnâ€™t necessarily mean that candidates will be guaranteed placement. Universities South Africa (USAf) said in a statement on 10 January that it would adopt a â€œmore flexible approachâ€ to address the question of walk-ins to ensure a successful registration period. USAf is a representative association of the 26 public universities of South AfricaÂ The body had previously said on 1 January that it discouraged walk-in applications because of the risk it poses to students and staff. One woman was killed and 17 injured in a stampede at the University of Johannesburg during registration six years ago. After a meeting with its 26 member universities on 8 January, USAf resolved that universities with no places available will attempt to support walk-in students by facilitating their use of the Central Application Clearing House (CACH) system. The CACH system records prospective studentsâ€™ information and submits it to relevant universities and TVET colleges. If places are available and applicants meet the requirements, institutions will contact students to offer them placement. The meeting also resolved that universities with vacant academic seats will process walk-in applications if the prospective studentâ€™s application corresponds with the places available. Universities may also require students to submit their applications online. North West University spokesperson Louis Jacobs said in an interview with The Daily Vox that the university does not accept any late applications and does not have any space for walk-ins. All CACH applications are directly referred to DHET. The University of Pretoria does not have any spaces available for the 2018 academic year, spokesperson Jocelyn Newmarch confirmed. All appropriate cases will be referred through CACH. Stellenbosch University (SU) spokesperson Martin Viljoen also said the university will not be considering walk-in applications. 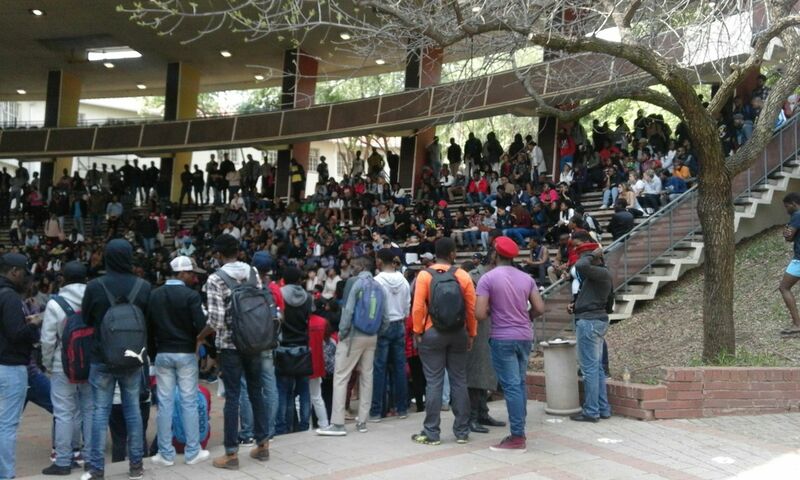 â€œSU has 5 000 seats available for new first-year students, but has provisionally admitted about 10 000 first years to allow for those matriculants who do not make admission after the matric results become available, or who choose to study at another institution and do not take up their places at SU,â€ Viljoen said. Given the new funding dispensation, it anticipates an increase in the number of first years who might register. 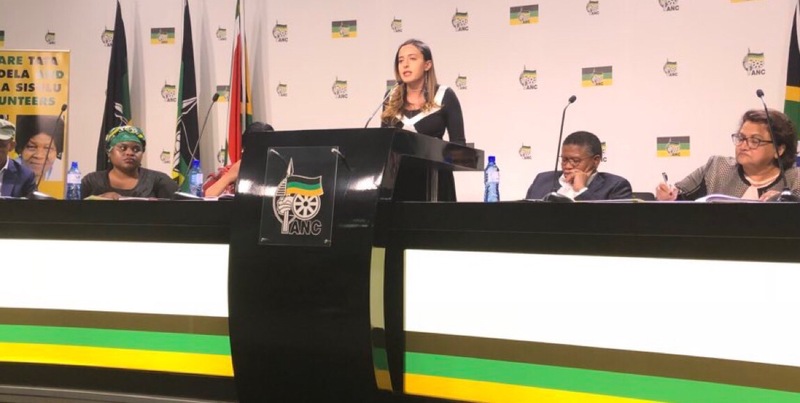 Walter Sisulu University can only accept 7 500 first year students according to its enrolment target, spokesperson Yonela Tukwayo told The Daily Vox. The university received over 40 000 application for the 2018 academic year. â€œThere are very few spaces, most of those are in the area that require good mathematics and science passes, these are programmes like analytical chemistry, natural science and engineering,â€ Tukwayo told The Daily Vox. WSU does get more openings after the first years have registered because sometimes candidates are accepted to more than one university and opt to go to the other, leaving a vacancy at WSU. WSU will only know the number of available places after 29 January, once it concludes registration. The Tshwane University of Technology (TUT) registration process began on 8 January, with prospective students queueing at its Pretoria, Soshanguve and GaRankuwa campuses, spokesperson Willa de Ruyter said in a statement. At the TUT Soshanguve campus, 40 spaces were available in the faculty of information and communication technology for computer system engineering, with 30 spaces for the extended programme and 86 places available for information technology, and 160 spaces available for the extended programme. Its faculty of humanities on the Soshanguve North campus has 100 spaces available for educational studies. The faculty of economics and finance on the GaRankuwa campus had 74 spaces available for accounting, 95 spaces for managerial accounting and finance, and eight spaces for public sector finance. There were 39 spaces available for a higher certificate in industrial engineering at the faculty of engineering and the built environment on the Pretoria campus. In the management sciences faculty also on the Pretoria campus, the university has 33 spaces available for the contact centre, 20 spaces for office management and technology, 20 for credit management, 53 for entrepreneurship, 14 for recreation management, 90 for retail business management and 30 spaces for management services. The Pretoria campusâ€™ faculty of science has 30 available spaces in agriculture: crop production and 13 in agriculture: development and extension. There are 20 spots for a bachelor in environmental sciences, 17 for game ranch management and 21 for a Higher Certificate in dental assisting. On its Acadia campus in the faculty of science, there are 55 spaces available for food technology, 20 for environmental sciences, 38 for water care and 44 for industrial physics. TUT will continuously update its availability of spaces through its website, on social media platforms and the media. Prospective students can also submit applications for study through CACH. 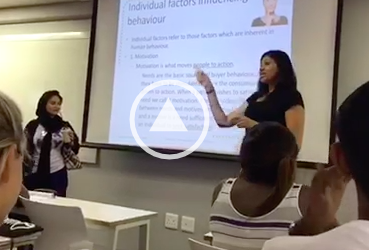 Universities are required to communicate information on academic programmes that can still accept new students to the extent possible.